There seems to be a lot of change and possibilities in the air right now. I used to think that things happened just to me, and it didn't have anything to do with anybody else, but at some point along the way I realized that they didn't. That I often find myself plugged in in some way, where I can sort of tell what direction things are moving in within the mass consciousness, simply by noticing what's going on for myself. Not all the time. Some periods more than others. But typically I would find that if I shared it with others, I'd run into many others who had similar experiences. And mostly we're talking about a general pattern, where one can't really point to any direct causes. But sometimes things really flow and move and progress. And other times things are stuck, and projects don't really get anywhere. Recently, I've run into a remarkably increased amount of promising business projects, re-connections with people I've known in the past, and assorted synchronistic coincidences. Suddenly a lot of things are moving, and new possibilities come out of the woodwork. Not that they're necessarily getting finalized, but they're certainly popping up. And that compares to preceeding months where everything was sluggish. 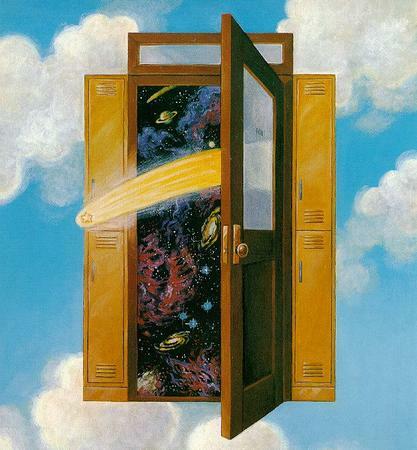 Now big things are in the air, and previously forgotten doors suddenly swing open. And it doesn't seem to have much with what I linearly do, or how much work I put into it. I spent most of the last two weeks in bed, being sick, reading. Didn't seem to make a difference, and hardly anybody noticed. Old friends turning up.. yes again... I don't think it is just you. I was finishing Cryptonomicon, which was great. And "Raimond d'Orient", a historical novel about the first crusade. Which was bloody, but quite intriguing. Wow, does that mean you're moving to Uganda?! That would be quite a chance from Colorado. A culpa Ã© somente da cÃ¢mara.No fim das feiras o espaÃ§o publico tambem fica cheio de lixo e a cÃ¢mara vai prontamente liui.raAtribmpr culpas Ã s marcas de cerveja Ã© ridiculo! Maneira que segundo o F Jorge, quando alguem morre a culpa Ã© dos pais, que nÃ£o o fizeram mais forte.